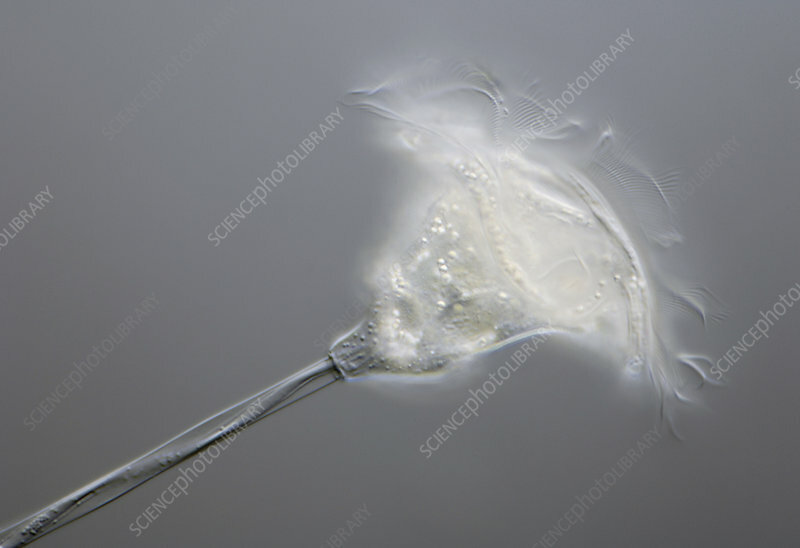 Vorticella is a freshwater Peritrich Ciliate Protozoan. Rows of cilia and an undulating membrane create a current of water which directs food particles towards the buccal cavity (mouth opening). These single cellular protists posses a stalk with an organelle (myoneme) that enables it to contract or extend. LM X250.